What a view! 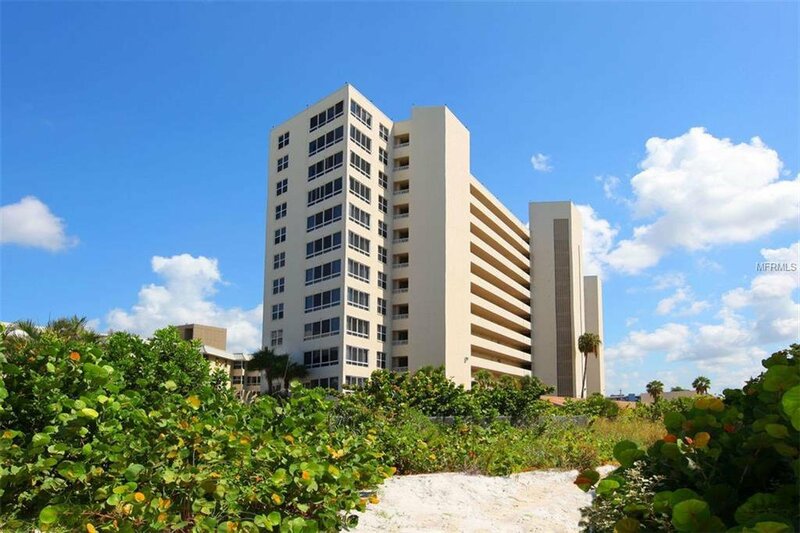 This is a fantastic 9th floor condo sited directly overlooking the No. 2-rated beach in the nation with mesmerizing partial views of the turquoise waters and crystal quartz sand at the highly desirable Sarasota Surf & Racquet Club. Located in the coveted tower building this residence was completely renovated in 2013 with 19”x19” porcelain tile flooring throughout, lighting fixtures, wood cabinetry in the kitchen and bathrooms, expanded lanai that transitions masterfully into the living/dining room, large eat-in kitchen complete with tray ceiling and recessed lighting, granite countertop, tile back splash, tiled showers, and spacious bedrooms with walk-in closets to enhance this water-lover’s delight which also comes furnished. Enjoy this waterfront residence year-round or use it at select times of the year and have the onsite management rent the condo. 2017 rental income was over $51K. Sarasota Surf & Racquet is located on 13 oceanside acres and offers resort-style amenities; four tennis courts, two heated pools, fitness center, recreation room with a catering kitchen, a beach pavilion, business center and multiple grilling stations. The on-site rental management delivers unparalleled service with a three-day minimum rental policy. Listing courtesy of PREMIER SOTHEBYS INTL REALTY. Selling Office: COLDWELL BANKER RES R E.